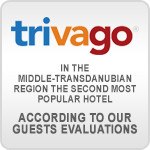 25+1 reasons why it’s worth to visit Veszprem and Hotel Historia**** & Historante. Sign up and receive our special guide book by E-mail! H-8200 Veszprém, Toborzó Street 11-13.